Our Monticello collection captures the style of Jefferson’s home with carefully crafted reproductions of items on display at Monticello. 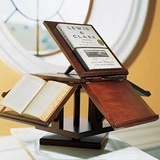 Like our portable music rack, emblematic of Canterbury furniture styling, and sterling silver goblet. 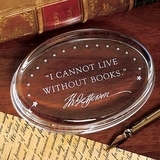 We also carry a wide selection of items like cups and pillows with our favorite inspirational quotes from Jefferson.